For some perspective: when I started this column in 2005, there were probably about 12 Connecticut breweries and brewpubs that I could visit. As of about two years ago, that number was up to around 20. By the end of 2013, barring unforeseen circumstances, we could have nearly 30 individual breweries to frequent in our small state. 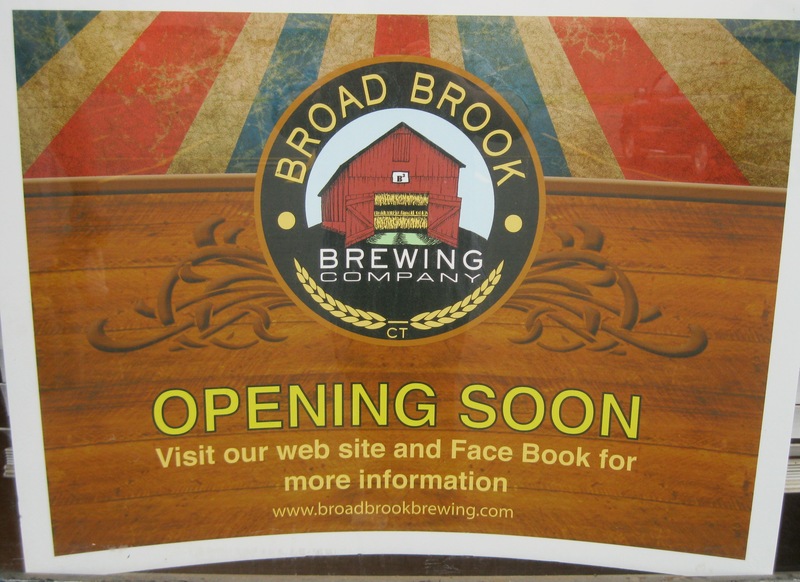 Broad Brook Brewing (2 North Road, East Windsor, Conn.) is one brewery hoping to make its mark during this exciting time. Eric Mance knows about risk. As a matter of fact, the co-founder of Broad Brook Brewing makes a living consulting businesses who want to keep their computers secure. So it seems counterintuitive that anyone as careful as that would want to jump into the tricky world of brewery ownership. Broad Brook is tucked into a strip mall called Sofia’s Plaza, and is positioned next to a billiard’s joint. It’s just a few turns off of I-91, which is convenient. But it wasn’t until I stepped into the under-construction tap-room that I caught Mance’s excitement. 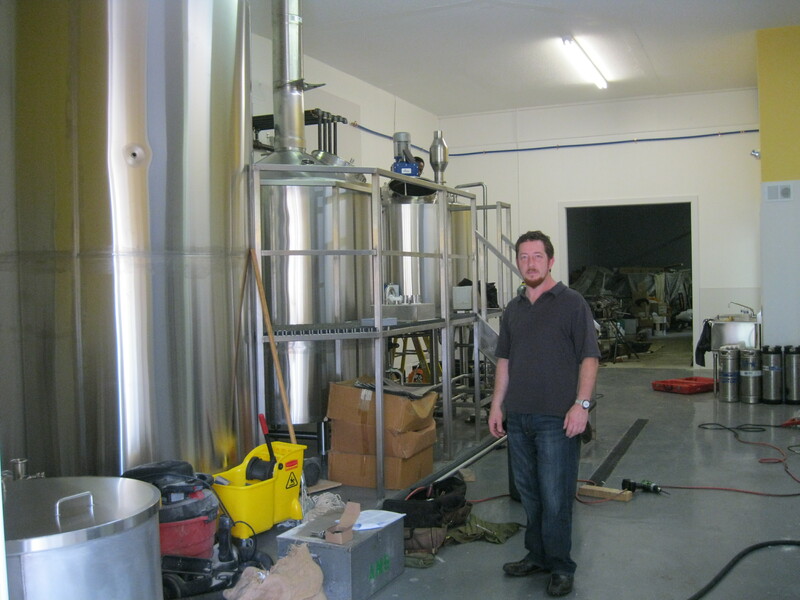 The brewery itself is in the back of the 5,000 square-foot, one-floor space. But in the front, the partners have erected a roofed tasting bar made out of reclaimed wood from a tobacco barn. It’s very cool. Mance was still caught up in it as he ran his finger along the newly installed bar and gazed up at the woodwork. With its 16 taps – at least half of them for its own beers and the rest for guest beers – the brewery hopes to establish a “mug club” that will serve as research and development. This will be part of what sets his brewery apart from the new crowd he said, and pointed toward marketing as another important factor. Mance and partner-brewers Tom Rossing and Joe Dealba are starting out with a small, 15-barrel system, which means they can make about 465 gallons of beer at a time. They have about 15 solid recipes. They’ll be a mix of seasonals, like an Oktoberfest and Holiday Ale, and traditional, lower alcohol English ales, which Mance said should be Broad Brook’s niche. 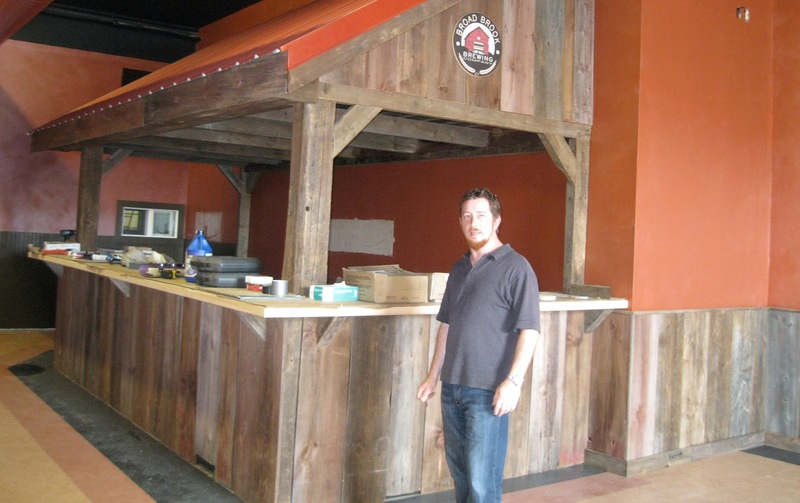 He’s hoping to open in late August, with 2 to 7 p.m. taproom hours Wednesday through Sunday. For more information, check out Broad Brook’s web site. This entry was posted in Beer Snob and tagged Broad Brook Brewing, Connecticut. Bookmark the permalink.